If a school break is approaching fast, why not plan a staycation? Here are three 5 day plans aimed at preschoolers, elementary students and teens. We all know and love Adventure Science Center as well as the Nashville Zoo but sometimes its fun to do something different. Hopefully, we can give you some great ideas! Monday – Take a walk and explore nature on the Old Hickory Trail. Most of the trail is shaded but still worth bringing sunscreen and bring some bug spray in case of mosquitoes Make sure to bring a snack – you can stick around and play at the playground (as you enter the area of the trail instead of turning left to the trail turn right to the playground) or if you are lucky you can watch a barge go through the lock system. Tuesday – Check out story time at the main Nashville library. Held on the second floor behind the children’s books delight your child with a FREE show at 9:30, 10:30 and 11:30 on Tuesdays (or Wednesdays). After the show bring a snack or lunch and eat in the courtyard and give your child some time to explore the fountain and echo that is created in the covered area near by. Wednesday – Spend the morning at Cornerstone Indoor Playground in Madison. The playground is located inside a church but is open to the public. Thursday – Take a ride on the Music City Star. Catch the train in either Hermitage or Mt Juliet depending on how long your little one can sit. Catching it in Mt Juliet adds about 10 minutes each way to the journey compared to Hermitage. Both stops are the same ticket price and kids 4 and under are FREE. Don’t miss Mike’s ice cream when you are downtown. Friday – Finish your week with breakfast at the Pfunky Griddle and then drive 10 minutes over to Fannie Mae Dee Park and enjoy the Dragon sculpture and playground. Monday – Take your kids roller skating. There are rinks all over middle Tennessee. Check out this list of rinks for the one closest to you and get details to plan your visit. Tuesday – Visit the Shelby Bottoms Nature Center in East Nashville. Often they have scavenger hunt lists available and there is a great natural playground (be prepared for muddy kids – I highly suggest a full change of clothes if you are going to play there but it is AWESOME!) and then visit the Pied Piper Creamery or Jeni’s for Ice Cream. Wednesday – Try Letterboxing, an international treasure hunt. Like Geo-caching but without the GPS, instead you follow a set of instructions. You will need a notebook, a pen, a compass, and a sense of adventure. Here are instructions for kids and a separate site for adults. Letterboxes are found all over the US and in other countries as well. Here is a list of boxes in middle Tennessee. If you decide you really enjoy letterboxing consider joining Atlas Quest, a community for letterboxers. Thursday – Visit the Capitol and Tennessee Military Museum and have lunch at the cafe with the legislators. You never know who you might meet! The legislature is in session at the moment so you could get a chance to see government in action. Check the calendar to see when the House and Senate are in session. Don’t forget to stop by the Secretary of State‘s office to use their embossing stamp for a unique souvenir. Friday – Finish off a fun week with a trip to Holder Family Fun Center in Hendersonville.They have arcade games, bumper cars, a two story laser tag arena and an awesome track for indoor go karts. Monday – Download an app or use your GPS on your phone or car and go Geocaching. 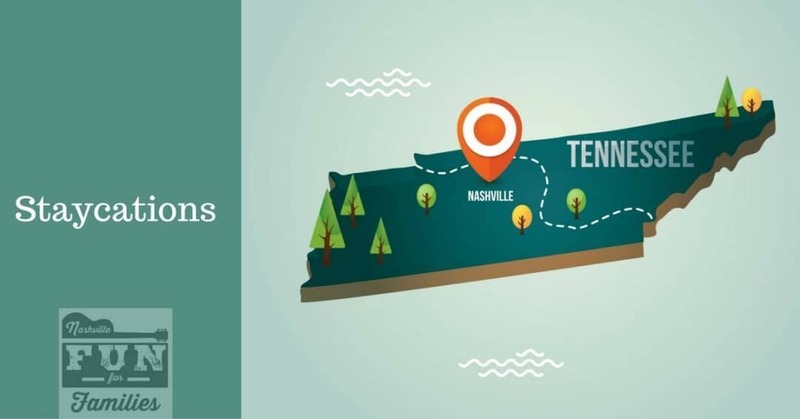 There are treasures to find all over middle Tennessee – some may be in your neighborhood. Geocaching.com has all the info you need to get started including instructions, maps to caches and links to apps. Tuesday – Spend a day with Hands on Nashville giving back to your community. There are different opportunities daily, but you should sign up in advance on the volunteer calendar. Wednesday – Take a tour of downtown on a Segway! You must be 14 to ride and accompanied by an adult under the age of 18. Tours are available daily Mon – Sat at 9 AM and noon and 1 PM on Sundays. Book in advance and be sure to look for a Groupon or Living Social deal. Thursday – Spend a morning finding treasures at McKay’s Used books. McKay’s is a treasure trove of books, music, movies and more all for a bargain. Need something more energetic? Head down the street to Europa Go-Carts and Golf for a round of mini golf or some arcade games. 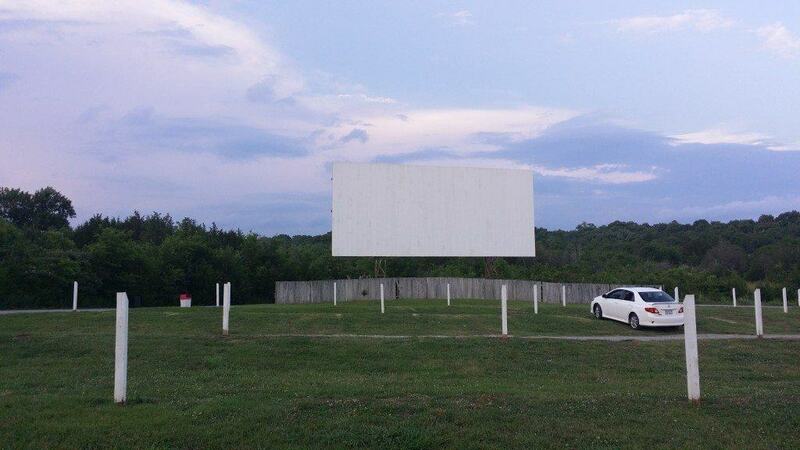 Friday – Take the day to rest up and then spend the evening in Watertown (Wilson County) at the Stardust Drive In Theater. Every night is a double feature for one price but be prepared to stay up late – the shows don’t start until after dark. You can buy dinner there or bring in your own food for a small fee. Check out what is showing and plan your trip! Let us know what you think of our Staycation plans – what else would you add to a great week of exploring at home? Please leave a comment with your suggestion! I love this so much! Thank you for all the work in putting this together. I recommend a change—cornerstone indoor playground is always closed mondays! I’ve been on the way wrong side of knowing this before and it wasn’t fun. Thanks again. Happy summer!